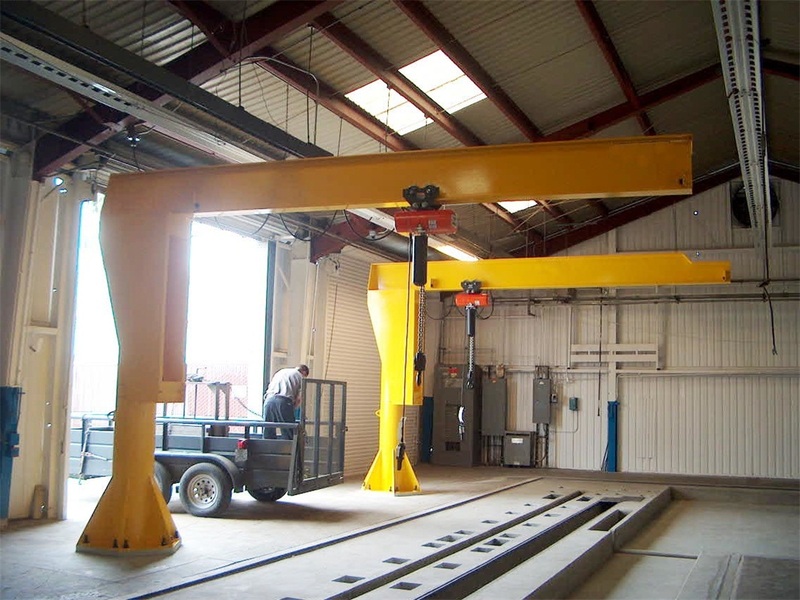 BZD free standing jib cranes are manufactured according to GB / T3811-2008 and GB6067 standards, the foot base is made of Q235B material, the column is made of seamless steel pipe, bearing is Hawval's products. In order to ensure 360 degree rotation does not affect the cable winding, our company designed a carbon brush rotating conductive device, the free standing jib crane can be arbitrarily rotated at any angle without causing the conductive cable winding and cable twisting, to avoid some unnecessary accident and work breakdown. 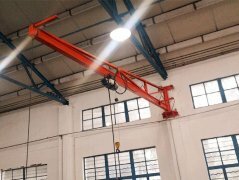 The free standing jib crane adopts electric chain hoist, lifting capacity is 125kg ~ 10 ton, lifting speed is two-speed, fast speed is 8 meters per minute, slow speed is 2 meters per minute, the trolley traveling speed is 14 meters per minute, lifting power is 0.2kw and 0.05kw, trolley power of 0.14kw, is a very economical product. 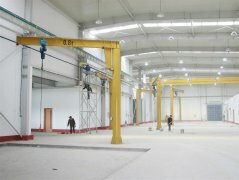 Free standing jib crane operation is ground remote control, the control power is 36V. 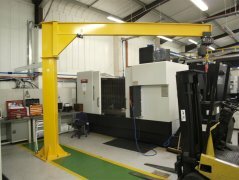 Jib cranes are equipped with limiter to ensure hanging objects will not exceed the traveling & lifting limit. 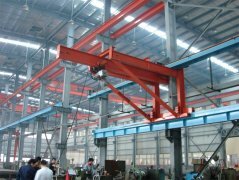 Electric chain hoist lifting chain is made by carburizing machine high strength chain. The free standing jib crane brake ring is composite material, avoids the starting difficulty due to the blocking resistance between the brake ring and the motor when the high frequent operating.